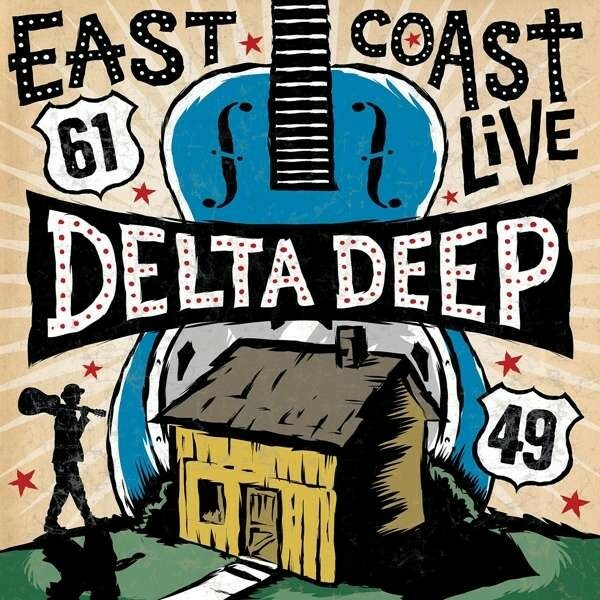 I'm not sure how it happened, but in 2015 Delta Deep released their debut album and I missed it completely. If you're in the same boat as me and are wondering why you should care, Delta Deep is a project put together by Def Leppard guitarist Phil Collen in which he handles the six-string duties and shares lead vocals with the extremely impressive Debbi Blackwell-Cook. With Forrest Robinson on drums and Stone Temple Pilots' Robert DeLeo on bass, the quartet play heavy Blues with a healthy dose of Rock thrown in. They have been likened to "Aretha Franklin performing with Led Zeppelin" and that's not far off the mark. Their debut album was chock full of excellent songs and even featured guest vocals from Joe Elliott and David Coverdale. Now they unleash a live album which features many of those tracks, plus a couple of blistering covers thrown in, like their impressive rendition of Zeppelin's 'Black Dog' for openers. Not only does Blackwell-Cook do a great job vocally, but the album sounds immense with a deep bottom end, thunderous drums and one of the fullest guitar sounds I've heard for years. The superb 'Bang The Lid' was a standout on the studio album and it's even better here. The same applies to 'Black Coffee' where Collen's singing is much better live than on the studio version. His vocals are also more than capable on 'Private Number' and the powerful take on Deep Purple's 'Mistreated' (which were handled by Coverdale and Elliott respectively on the debut album), and he successfully holds his own with Blackwell-Cook while at the same time playing some truly standout guitar. The blistering 'Shuffle Sweet' and the smoky Blues of 'Treat Her Like Candy' show the stylistic range of Delta Deep off very well. It's the sort of music that appeals to people who like Zeppelin, people who like Blues and people who like Rock; it's just exceedingly good material performed by a great band. It's the sort of album I was hoping the record Joe Bonamassa did with Mahalia Barnes would be like. After one listen to this, I went and bought the studio album too, and I've come back to both discs repeatedly. 'East Coast Live' is a superb sounding live record and one that positively bristles with energy.